Holy cow !!! 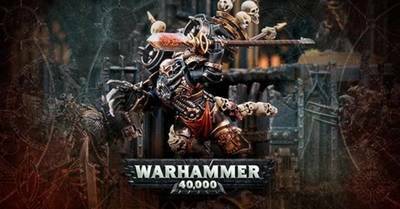 GW reversed a change in the last faq. The errata published yesterday updated Haarken Worldclaimer’s rules so that, as a Black Legion special character, his abilities worked specifically with the Raptor vanguard of the Black Legion, in line with the studio’s original intent for the character. However, lots of you got in touch yesterday to say that you really liked the idea of him leading a combined force of Raptors for the Legions of the Eye, both from a narrative and rules standpoint. And on reflection, we agree – the idea that Abaddon’s right-hand-Raptor would lead ALL the Raptors of the traitor Legions is pretty cool – so we’re removing that change from the errata. After all, Haarken is the personal herald of the Warmaster who commands Heretic Astartes from all the traitor Legions. TBH it was a bit dumb to limit Harkeen to only Black legion, glad they went back on it.